Wondering what a Twitter Party is or how to participate in a Twitter Party? A Twitter Party is an event where a specific topic is discussed on Twitter. Once you have your Twitter account open, you need to start following the National Girl Scout Cookie Twitter Party hosts. They are @GirlScouts and @MomItForward. Now that you are following the hosts, on Wednesday, February 5th at 9:00pm EST follow the hashtag #GNO which stands for Girls Night Out and don’t forget to refresh to see new tweets. If you see a tweet you like, re-tweet it! If @GirlScouts or @MomItForward poses a question, answer it. But, if you see someone tweet something negative about Girl Scouts, don’t respond. JOIN THE FUN AND TWEET WITH US (@gsnc)! 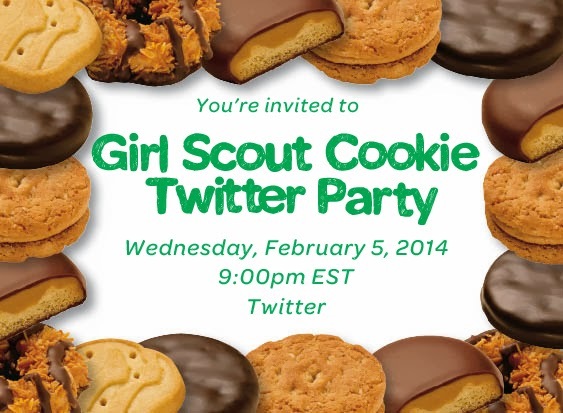 **Girls who would like to take part in the National Girl Scout Cookie Twitter Party should have parental permission and supervision to participate. 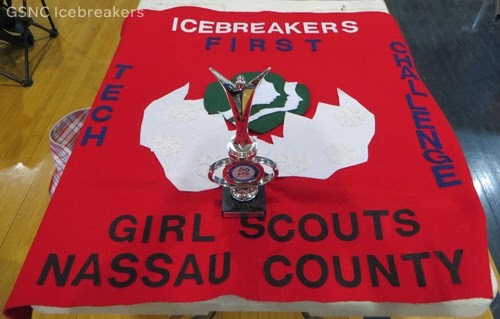 On Sunday, January 19, Icebreakers, one of GSNC's FTC [FIRST Tech Challenge] teams, went face to face against 20 other FTC teams from across Long Island. 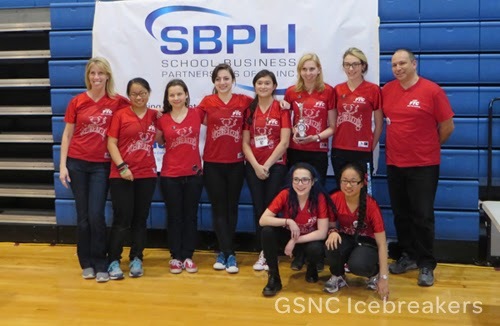 The Icebreakers, working hard since the beginning of the season, were ecstatic to take home the CONNECT AWARD. The CONNECT AWARD is awarded to the team that best embodies the spirit of FIRST in their community through outreach. 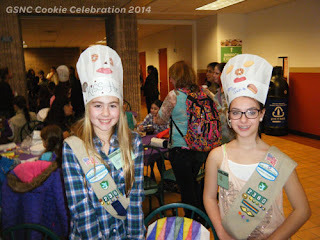 How to Take Part in National Girl Scout Cookie Weekend! National Girl Scout Cookie Weekend is February 7th through February 9th… That is only 2 weeks away! So, how are you going to participate? Hold a Cookie Booth Sale- a booth sale is when a Troop sets up a table or booth at a public location and displays and sells boxes of cookies directly to customers, allowing them to eat Girl Scout Cookies right away. So get out there and bling your booth! Have a Cookie Walkabout- pile boxes of Girl Scout Cookies into a wagon, cart or sled and walk door to door around your neighborhood with your Girl Scout Troop, or with a family member. Get Social- If you have Facebook or Twitter account, post about Girl Scout Cookies and your National Girl Scout Cookie Weekend Festivities… be sure to be part of the conversation by including #GirlScoutCookies, #CookieBiz and/or #OneMoreBox in your Tweets and posts and of course tagging us on Twitter @GSNC or on Facebook at Girl Scouts of Nassau County. --And it is fine if parents want to help this promotion for their daughter ... just ask for her input on what you should say and what artwork/photo to include. ATTEND the Girl Scout Cookie Green Carpet Premiere in NYC on February 7 and get your hands on your favorite Girl Scout Cookies. 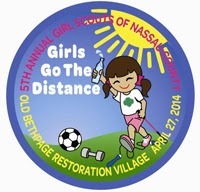 Girl Scouts of Nassau County is proud to present the 2014 Girls Go the Distance Walkathon and Activity Fair Patch! This year’s patch, designed with exercise and healthy choices in mind, was a combination of two different patch designs, refined into one patch. The patch features a Girl Scout outside on a sunny day drinking water and being active. The patch also features this year’s name of the event, date and location. Doesn’t it look great? Girls Go The Distance Walkathon and Activity Fair is a fun and interactive two mile walk and activity fair centered on the theme of Healthy Living. Registered Girl Scout Troops will have the opportunity to earn a “give back” for their own Healthy Living projects. All funds generated from the Walkathon and Activity Fair will benefit Girl Scouts of Nassau County’s Healthy Living Initiatives program. Healthy Living Initiatives brings a unique perspective to keeping girls healthy. In order for girls to live healthy, they first have to learn how, and have fun doing it. Funding is needed to help GSNC develop and provide engaging activities that inspire girls to learn how to integrate all aspects of healthy living into their daily lives. 2014 Cookie Celebration is a Huge Success! GSNC’s 2013 Top Cookie Sellers led their fellow Girl Scouts on a virtual “behind the scenes” tour of Little Brownie Bakers; all while sharing their insight on setting goals, selling cookies, dreaming big and staying safe! Girl Scouts who took part in the celebration also got crafty, making marketing tools which will help them reach their 2014 cookie goals. Cookies weren’t the only activities that girls got to take part in; there were S.W.A.P. pits and a dance party as well. It truly was a celebration! A special thank you to all those who volunteered at the Cookie Celebration and helped to make it a success! Some Cadette Volunteers show off their Cookie Chef’s Hat at the Cookie Crafts Room. 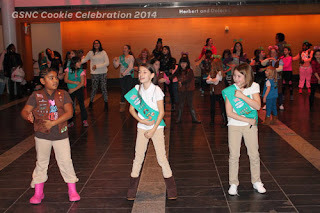 Girl Scouts celebrated Girl Scout Cookies by getting active with some dancing. 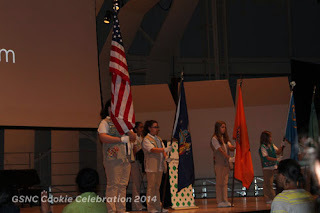 The GSNC Ceremonial Unit opens the ceremony with the Pledge of Allegiance and the Girl Scout Promise.